afrol News, 22 October - Over the last weeks, UK animal welfare activists have flooded the web with "shocking pictures" of cruelty against macaque monkeys trapped and bred in Mauritius. Local firms now hit back, documenting they take animal welfare seriously. The British Union for the Abolition of Vivisection (BUAV) has conquered media around the world, especially those directed at the radicalising animal welfare community, with its documentation of cruelty against macaque monkeys in Mauritius. The press campaign has been so massive that Mauritian authorities have feared for the international reputation of the island state. Macaque monkeys are a species introduced to the island by earlier settlers, whose population soon got out of control and caused great environmental and agricultural damage to Mauritius. Authorities therefore introduced programmes to trap the damaging monkeys, and local companies soon discovered that there was an overseas market for the macaques, especially by laboratories in Europe and America. Since then, macaques for export are bred by five Mauritian companies. Current import regulations in Europe and the US only allow for apes kept in captivity for two generations. Trapping in the wild however continuously provides new macaques for breeding. 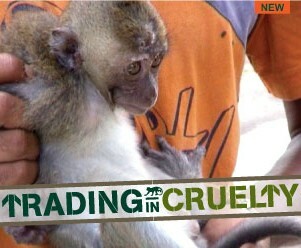 By now, macaque breeding and export has become a major industry in Mauritius. 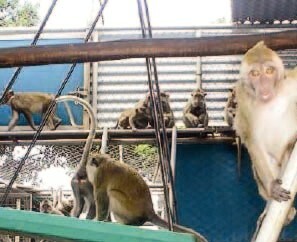 Bioculture Ltd, the largest exporter, holds around 20,000 monkeys in captivity and exports at least 2,500 primates every year. Videos and photos exposing cruelty against monkeys in the industry, combined with harsh language and accusations by BUAV, at first paralysed Mauritian companies and authorities. Indeed, the footage distributed by BUAV was nasty, the press response was large and Mauritius does lack animal welfare and animal export legislation. BUAV started its campaign on 22 September. Except for a hard-worded letter to the Mauritian Prime Minister, demanding swift action, the BUAV campaign clearly had no intentions of starting a dialogue or any other action that could lead to a progressive improvement of animal welfare in Mauritius. As with so many other campaigns by radical activists, it soon became clear that the only intention of the BUAV campaign was to give the group media attention and new paying members. Interestingly, on 20 October - as the Mauritian industry still was trying prepare its response - BUAV Chief Executive Michelle Thew issued a press release responding "to claims apparently made by Bioculture at a press conference." Ms Thew hit back at the "desperate attempt by Bioculture" to question the claims made by BUAV. "The BUAV is a highly respected organisation," she emphasised, adding that "we are speaking to our lawyers." afrol News, which until then had made several futile attempts to get in contact with Bioculture Ltd, asked Ms Thew to provide us details about which claims Bioculture had made at the press conference referred to. The British activists indeed did not know what Bioculture was supposed to have said, and which had caused BUAV to contact its lawyers and make a harsh press statement. by a journalist that Bioculture held a press conference this morning and made allegations against BUAV with regards to our investigation. Unfortunately we have nothing in writing from Bioculture," press spokeswoman Fleur Dawes told afrol News. Hours later, Ms Dawes recalled BUAV's press release. Yesterday, the Mauritian companies engaged in the macaque trade finally broke the ice and talked to the press. Biculture Ltd invited journalists to their premises - however insisting that no cameras be brought in due to "business secrets" - and Noveprim Ltd gave interviews to the local press. Mary Ann Griffiths of Bioculture Ltd insisted her company had "nothing to hide." She reacted strongly to the "myths" spread about the welfare of animals used for medical research. Groups like BUAV were not the only ones caring about animal welfare, also the many professionals working on a day-to-day basis with the macaques in the breeding industry became "very much affiliated with the animals." Biculture employees showed journalists the well-spaced cages where the animals are bred in large social groups. Newborns were allowed to stay with their mothers for 15 months, it was informed. "Eliminating the stress caused by in-cage breeding" was a main key to success, the breeders pointed out. Animal welfare was therefore in the interest of all. Bruno Julienne, Director of the main breeder Noveprim Ltd, meanwhile had tougher incidents to explain. A BUAV video footage had shown an employee catching a monkey by the tail and throwing it into the air. Mr Julienne told the local daily newspaper 'NewsNow' that the company had been shocked by the evidence. The employee had been reported to the police for animal mistreatment and was immediately fired from Noveprim. Mr Julienne told 'NewsNow' that the ex-employee had not mistreated the monkey on company premises, but rather "took his neighbour's pet monkey and showed it to some British tourists who were none other than BUAV investigators." The Mauritian police is now investigating both the ex-employee of Noveprim and the BUAV "investigators", which may have provoked the incident willingly to produce "shocking footage". Ms Thew however emphasises that BUAV in no way did "frame" the Noveprim employee. Meanwhile, the Mauritian industry and authorities have detected their vulnerability to such international campaigns and started work to improve the situation. The Ministry of Agro-Industry and Food Security is now working with the breeders to finally design modern legislation regulating animal welfare and the animal breeding industry. BUAV has, since the publication of this article, filed a complaint against afrol News and threatened "legal consequences". Providing BUAV a right of early reply, the complaint by the UK group has been published here.